And China is preparing itself accordingly. Liu Guoshun, a member of the national defense mobilization unit of China’s Central Military Commission, reports CNBC, penned the editorial on the day President Donald Trump took the oath of office. His characterization of U.S.-Chinese relations evinces how much has unraveled between the two nations over the potential looming trade war — China is preparing itself for military action. Although the opinion piece certainly sends an ominous message, Ian Bremmer, president and founder of the global political risk consultant, Eurasia Group, and inventor of the Global Political Risk Index, believes it to be more bluster than outright bellicosity. However, China’s long habit of posturing seems to be nearing an end. 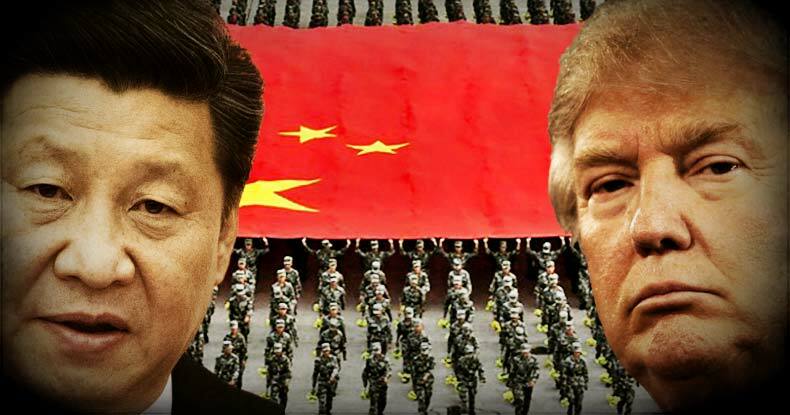 “The Chinese government is quite concerned about the potential for direct confrontation with the Trump administration,” Bremmer told CNBC by email. Egged on by Trump’s indiscriminate bashing of China, Beijing may be nearing the point of intolerance — and could act out in a military show of force. Chinese territorial claims in the South China Sea have further degenerated already cool relations with the U.S., as South Korea, in particular, has turned to American aid to protect its interests in the international waters. China ramped up hostility by refusing to recognize the South China Sea as international waters per a ruling last year — and has continued construction on a series of manmade islands. The nascent Trump administration has already provoked vociferous condemnation from Beijing for vowing to prevent Chinese aggression in that region. Some of the manmade islands have been outfitted with landing strips and stocked with military weaponry — sufficient for Beijing to claim the U.S. would have to “wage war” to stop it from maintaining access. Provocation over the South China Sea, trade, Taiwan, and more — even of the semantic variety Trump has limited himself to thus far — could spark a response from Beijing in the future. As part of the escalating conflict over trade between the two largest economies on the planet, Beijing has been deeply critical of inefficiencies of so-called Western Democracy and corporatist capitalism. “Western-style democracy has played a progressive role in history, but right now it has heavy drawbacks,” Communist Party secretary of the Beijing Foreign Studies University, Han Zhen, wrote in an editorial for the People’s Daily, cited by CNBC. Some analysts feel Beijing might be opportuning contention in the United States over the election and subsequent executive actions by Trump to insert commentary favorable to its interests while shining a negative light on the West. “I think they’re just trying to take advantage of what looks like a disorderly transition in the U.S. and a great anxiety around the world about what a Trump administration looks like,” noted Scott Kennedy, director of the Project on Chinese Business and Political Economy at the Center for Strategic and International Studies, as CNBC reports. “When you have a country like China whose growth is slowing with massive debt, with concerns of its neighbors as it moves to become more powerful, I don’t know if it’s the right time for China to be strongly promoting its system relative to others. China, in the meantime, has continued limited missile tests and made its military prowess known to Taiwan and parties present in the South China Sea. While belligerence has thus far been limited to talk, were the Trump administration take a tangibly aggressive stance in the South China Sea, China’s military will apparently be more than prepared to respond in kind.